Stopped in on a rainy Saturday afternoon before we went to dinner. Had a few glasses of a great red wine. The bar is very dimly lit and seemed very romantic this particular afternoon, in the middle of a cold rainy day. Great place for a drink and socializing! So happy this little place opened in Davenport. We needed it. Doesn't have food but you can bring. Good selection of wines, a little pricey but overall good value. Staff is friendly and helpful. 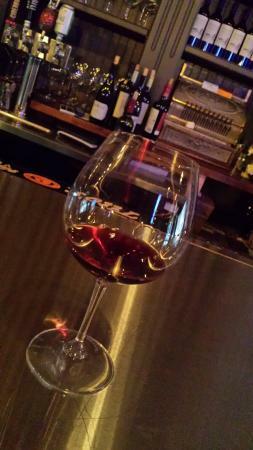 There is no better place in the Quad Cities to get a glass of great wine! The selection is unparalleled in the area. Add that to a fantastic atmosphere and truly amazing service. It has become our go-to place when we are in town. Interesting wine bar! Nice wines. Good atmosphere. Not too loud early Saturday evening that we visited. Friendly bartender. Get quick answers from Cru staff and past visitors.